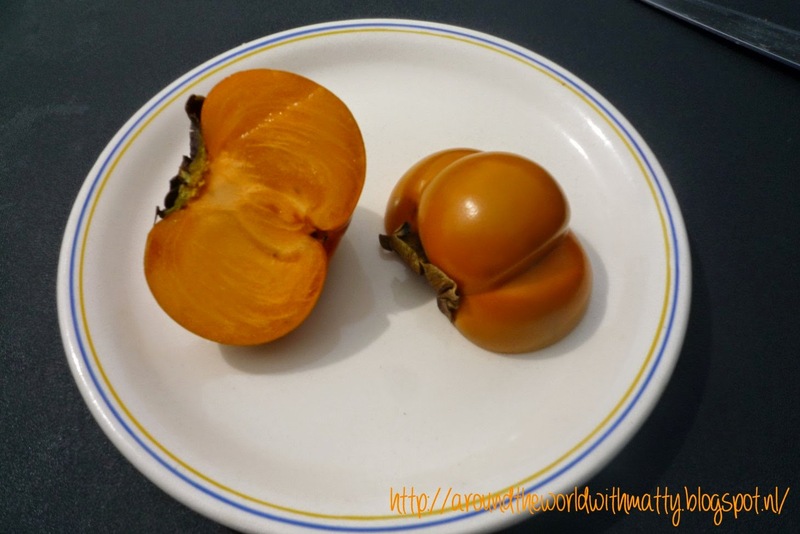 Last week I bought a kaki fruit (also called Sharonfruit). 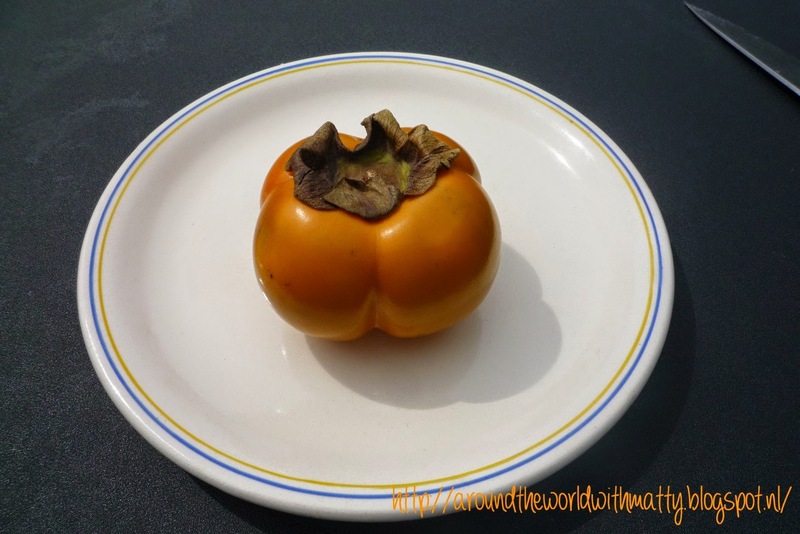 It looks like a big orange tomato but when slicing it in half it doesn't look like a tomato at all. It's 'flesh' is the same color as it's skin and feels like a peach or mango. the fruit however doesn't taste like a peach. It tasks more like a pear combined with a abricot. But if you really want to know how it tasts, you have to try it yourself.